Danny Willet raises his arm after making a putt on the 18th green on Sunday. Willett won the Masters by three shots. 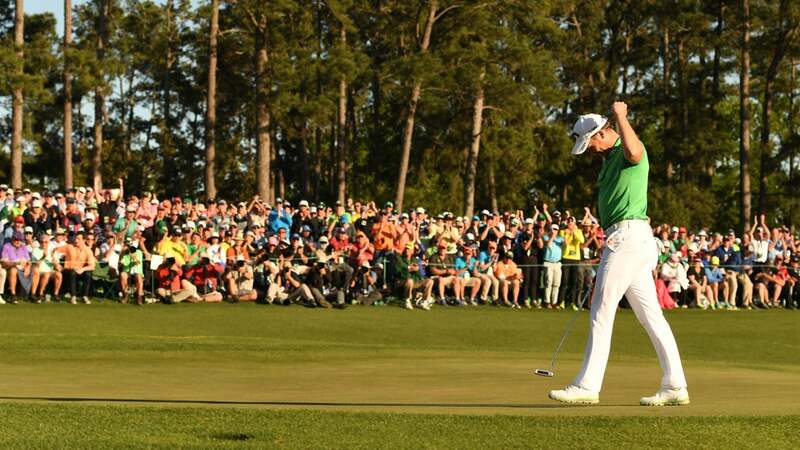 AUGUSTA -- When newly minted Masters champion Danny Willett played on the golf team at Jacksonville (Ala.) State University, one of the more popular debate topics on the van rides to tournaments was which of golf's four major tournaments rules supreme. Willett argued passionately for the proud history of the British Open, but he was badly outnumbered by his American teammates, who went to bat for the pageantry and lore of the Masters. "So ironic," James Hobb said with a laugh on Sunday evening, just minutes after Willett had shot a final-round 67 to win the 80th playing of the Masters. Hobbs is the head coach of the men's and women's golf teams at JSU. In 2005, he convinced Willett, then a skinny 17-year-old living with his family in Sheffield, England, to pack his bags for Jacksonville, about a three-and-half-hour-drive due west of Augusta. Willett's father, a vicar in the Church of England, warmed to the idea. "His daddy wanted him in a small town away from any bad stuff," Hobb said. Willett thrived in his two years at the college. He was the 2006 Ohio Valley Conference Freshman of the Year, and in '07 won medalist honors at the conference championship. That same year he returned home and won the prestigious English Amateur. He also recorded three points for the Great Britain & Ireland team at the Walker Cup, playing alongside Rory McIlroy and against a powerhouse U.S. team that included Rickie Fowler, Dustin Johnson and Billy Horschel. He had every right to be intimidated but fear is just not in Willett's D.N.A. "He has a confidence that would never go away," Hobb said. "He thought he could play against anyone." Willett exhibited that grit again this week, playing the back nine of his Masters Sunday in 33 strokes. At the par-3 16th, with the green jacket in the balance, he stuffed his tee shot to seven feet, then poured in the birdie putt. Hobb was hooting and hollering from the clubhouse at Hermitage Golf Course in Old Hickory, Tenn., where his squad is competing in a tournament. "Never in my wildest dreams," he said after the outcome of the Masters had become clear. As recently as two weeks ago, it wasn't clear if Willett would be in the field at all. His wife, Nicole, was on the verge of giving birth to a baby boy. Due date: April 10. If the baby didn't come early, Willett had made up his mind: no baby, no Masters. But when Nicole opted to have a c-section in late March, Willett was back on the tee sheet. The topic came up when Hobb reconnected with Willett at a practice round at Augusta National earlier this week. The Englishman spoke of how relieved he was that Nicole, who was still back home in Yorkshire, had given birth to a healthy boy. Truth be told, he also was happy to have a little break from fatherhood. "Coach," Willett said, "I'm glad to be here, so I can finally get some sleep."